Rehabilitation programs or facilities have been designed to help people recover from mental or physical illnesses, injuries, and addictions. However, drug rehabilitation programs seem to be the most common kind because anyone who is addicted to drugs usually needs the extra assistance and care provided in drug rehab. Drug rehabilitation facilities help people addicted to drugs by treating their drug dependency. Drug rehab is meant to free you from substance abuse. Such people usually look for treatment once their substance abuse problem becomes out of control and impulsive, but their decision-making has not been altered by the negative side effects. There are multiple drug rehab centers countrywide all designed to help adolescents, women, and men with alcohol or drug addiction. The details of drug rehabilitation are dependent on the individual’s requirements. Doctors, behavioral health counselors, and intake counselors all have crucial roles that they play in helping to define any successful rehabilitation process. The process of drug rehabilitation can be divided into four steps. a) Assessment: Following initial contact with individuals looking for drug treatment, a team of supporting staff, therapists, counselors, and doctors will develop a personalized treatment plan. The process continues as the patient is taken into the rehab facility to make sure he or she gets the ideal possible medical treatment and recovery outcome. b) Detox: To begin the process of rehabilitation, a detoxification first needs to be done to eliminate any harmful substances from the body. Detox can be dangerous and as such, the process must be coordinated by a credible and trusted treatment facility with supervision from doctors and nurses. c) Rehabilitation: detoxification marks the beginning of recovery and healing from substance abuse and addiction. Rehabilitation includes the use of therapy to identify any underlying problems that fuelled the addiction to begin with. d) Aftercare: Aftercare is also a crucial stage of the recovery process because it makes sure that the transformation that occurred during rehabilitation is sustained in the long-term. Aftercare comprises of steps to make sure the skills acquired during rehab become incorporated into the patient’s daily life. There are various options available for treatment for anyone who is specifically looking for drug rehabilitation. Drug rehab may include various therapy options, care levels, and programs. Drug rehab centers can be very beneficial to anyone looking for assistance with comprehensive emotional and medical care. These facilities work closely with their clients in order to determine the hidden causes of their addiction to help them heal by addressing the roots of their substance abuse. Drug rehab services can provide a source of strength for individuals who have been struggling with addiction for months or even years. Usually, drug centers utilize various methods to help people get through substance abuse including programs ranging from outpatient and inpatient programs to medical detox. Drug addiction usually alters the individual’s behavior and this can affect all aspects of the person’s life. Patients in drug rehab usually work very hard to make sure their lives go back to normal in the healthiest and safest way possible. Different kinds of drug rehab centers exist with some specializing in patients with a particular drug addiction while others provide a wider range of services relating to drug addiction. There are also rehab centers that are specific to age or gender to help the patients feel more at ease in the rehabilitation setting. Outpatient and inpatient rehabilitation facilities are available as well. Drug rehab centers are usually stigmatized because people think patients are forced to remain in the facilities but this is far from the truth. Patients can come and go anytime they want to and this is because drug rehabilitation can only maintain effectiveness when the person wants to be there and wants to change for the better. The rehabilitation process is also still effective even in cases where people are enforced to go to these rehabilitation facilities i.e. through court orders even if the individual was reluctant in the beginning. Drug rehab facilities range from luxurious centers to basic facilities. The kind of center attended by a patient will depend on his or her degree of insurance coverage and budget. Even though luxury centers provided added amenities compared to the basic facilities, they may not always be the best option. It is important for patients to look into any rehab facility prior to making their final decision. Patients might have to go through detoxification treatment prior to checking into any rehab facility. The detoxification process involves the patient eliminating the body of these addictive substances and it takes approximately one week under close observation by nurses and doctors. After a patient is done with the detox process, he will be ready to go to rehab. Drug rehab facilities are beneficial in making patients change how they feel about drugs. Drug addicts usually deny having a drug addiction and even claim that the drug is harmless at times. The first step of rehabilitation involves helping patients overcome this denial so they can try to change. Counselors and doctors in rehabilitation centers help the patients make their own goals. The patients make a commitment to themselves and to their loved ones that they will work hard to change their lives positively. They will make short and long-term goals to help them during the process. In order to help the patients make healthy commitments and choices and get through the denial phase, the doctors will educate them on all the effects and consequences of drug addiction and abuse. The patients will learn of the effects of drugs on their bodies with the hope that they are motivated to make positive changes. Drug rehabilitation centers provide frequent counseling sessions to the patients, which usually take place every day. The counselors in drug rehab facilities help the patients identify any psychological and emotional factors that might have caused their addictions. These psychological factors must be addressed if patients wish to make a complete recovery. Aside from individual counseling, group therapy sessions are also offered for the patients. Patients with the same addictions meet under the counselors’ direction. This enables the patients to establish a fellowship and establish friendships with other patients. Forming close bonds help the patients as they walk the path to recovery. Patients in drug rehabilitation facilities are taught to identify situations that can trigger their drug abuse. Such triggers can be part of their normal routines or relationships, physical, and even emotional. Doctors and counselors help the patients learn how they can fight these triggers or avoid circumstances that can drive them back towards drug abuse. After patients are taught to identify their triggers for drug abuse, they acquire the skills required to deal with them. Doctors and counselors in drug rehab facilities work together with the patients to develop personalized skills for each patient to use in preventing them from going back to drugs. The counselors also aid patients in changing any of their negative habits related to their drug addictions. This may include changing different aspects of the patient’s everyday life, career, or leisure activities. The goal of drug rehabilitation facilities involves reducing the triggers and the amount of stress in the patient’s life to prevent the person from relapsing. Drug rehab programs are often most effective when based on a specific individual’s requirements. They can include various approaches including aftercare, outpatient services, and inpatient services. For anyone who has completed their detox program, residential in-patient services are the next course of action. There are non-medical and medical options for the client to choose from depending on his or her requirements. Inpatient residential medical treatment comprises of medication management and pharmaceutical therapy from healthcare professionals to help the patients work through their recovery safely. Co-occurring disorders are evaluated and diagnosed during this time to come up with a dual diagnosis for a more effective treatment. This is the next step during the recovery process with intensive outpatient programs also being offered. Such programs typically comprise of a full schedule of drug treatment and therapy all through the day and the clients can go back home once the day is done. Some of these rehabilitation facilities provide partial hospitalization treatment programs along with housing on-site. Aftercare is the final and most important step of the treatment process for drug addiction. Aftercare is designed to aid the patients in normalizing their lives without the problem of substance addiction. Outpatient treatment follows next in the journey towards healing from substance addiction. It also offers a rehab alternative to people with a less severe substance addiction not to mention it does not need inpatient treatment. Patients who are going through this stage of the drug rehabilitation treatment come to the facility on a regular basis but they do not stay for the night. This method enables the patient to receive the drug treatment while maintaining job and family responsibilities. Non-medical inpatient rehab treatment allows monitoring of the clients all through the detoxification stage in addition to making the transition to rehab services all with the absence of medication therapy and with reduced medical supervision. People usually think the choices are limited to outpatient and inpatient programs when it comes to different kinds of drug rehabilitation. A significant number of people have overcome substance addiction all thanks to fellowship groups alone. Fellowship support groups like Alcoholics Anonymous and Narcotics Anonymous have been in existence for years and they have helped so many people achieve recovery and maintain clean and sober lifestyle. These support groups are so effective that most rehab centers have assimilated some of their principles into their treatment programs. The 12 steps program is one that patients are encouraged to take advantage of and they are divided into maintenance steps, action steps, and decision-making steps. The members of these fellowship support groups use the 12 steps to identify that they have a substance abuse or addiction or problem and take action to fix the problem. Afterwards, they learn to abstain from any substances going forward and with their fellow group members’ support. Most people will go for regular fellowship support meetings for the remainder of their lives in an effort to remain grounded. The length of any rehabilitation program for substance abuse can vary significantly specifically based on each individual’s needs. A weekly outpatient program might be sufficient for some people while others individuals may go for inpatient services lasting 30 to 40 days or so. Long-term recovery from substance addiction can only be achieved when the patient puts in dedication and time and for some this translates into long-term inpatient rehabilitation. This will involve the patient residing on-site for extended periods to help him or her regulate the recovery requirements better for sustained sobriety. Such programs can also comprise of sober living housing in which the patient is given a stable place of residence while he or she transitions back into their normal life. Private drug rehab programs typically offer a wide selection of therapies for people suffering from substance addiction problems. There are different types of addiction and usually they involve more than one condition or substance. One of the most common coexisting combinations for substances is drug and alcohol addiction. Most centers for treating substance abuse address both of these substances. For people who might be looking for rehabilitation centers specifically dealing with alcohol addiction, facilities addressing both alcohol and drugs can be beneficial. Such centers have well-equipped and skilled specialists to deal with multiple rehabilitation forms for substance abuse. Anyone looking for an alcohol and drug treatment center should consider programs offering comprehensive, continued care for different substances aside from any co-occurring mental disorders. These all-inclusive rehab centers for substance abuse may offer patients exactly what they need to start their recovery. Finding the ideal drug rehab facility can be daunting when it is time to seek help. Most people look to the internet in search of local drug rehab centers or rehab centers nearby. It can be helpful if you find a center that is close to you but your search may also give you results for rehab programs requiring travel. Impatient centers that are away from home can offer the patient added opportunities for better healing thanks to a new environment. You can ask any questions you have when visiting the rehab facility before settling on one to ensure you choose the facility that meets your needs best. It can be beneficial to prepare your questions in advance and noting down any answers you are given can help you make a confident and informed decision about your addiction treatment and recovery. When trying to make a choice between the different kinds of drug rehab, the most important considerations should not be whether it fits the patient’s needs or the quality of the program. For example, the person should not make a decision based on whether the program is outpatient or inpatient. Even though most experts feel that inpatient care might provide the best chance for recovery success for most people, anyone who is especially motivated to clean up his or her life might see excellent results from a low cost outpatient program. This same individual might be able to live a clean and healthy life all thanks to a fellowship program alone. It all depends on the person’s commitment level and what will work best for him or her. You will find that in some cases people have chosen to go for an outpatient program before discovering that it was ineffective for them. These people decided to switch to residential drug rehab facilities because a structured recovery approach may have been ideal for them. Experimenting with different kinds of drug rehab facilities might be the best solution in some cases. Before settling on your choice for a drug rehab facility, you will have to consider certain things. Your budget will factor in significantly, but your work commitments and personal commitments will also be factors to consider. Recovery from substance addiction is crucial to your family life, your well being, and your health. However, inpatient care may not be ideal for you if you have small children to take care of full-time. You need to think about it carefully before you make a choice and consider your situation. Rehab is the opportunity for an individual to work through years of underlying issues. Drugs are not the issue here as these problems are and this is what the rehab experience is designed to address. 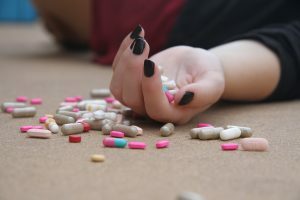 Some people become addicted to drugs as a means of dealing with trauma in their lives while others become addicted because of mental health problems like depression or PTSD. Each person has his or her own reasons for becoming addicted to alcohol or drugs. Rehab should offer an opportunity to get to know oneself while trained counselors, therapists, and clinicians help you uncover any deep-seated problems that resulted in the addiction. Usually these issues can be identified through frequent and in-depth individual sessions with a support team. This allows the individual to reveal their vulnerabilities and switch up unhealthy habits for productive, healthy ones. Look for a rehab offering individual sessions with a therapist or counselor at least once a week. It is impossible to recover from an addiction by oneself, which is why it is important to be a part of a group practicing nourishing and healthy habits and behaviors during the recovery process. The other patients in the rehab facility will become your friends and support system because they are all on the same journey during the treatment. Activities that help to develop a connection among clients are crucial for this reason. Ensure the rehab facilitates connection and teamwork. Rehabilitation facilities and programs should have more to offer aside from the 12-steps. An efficient and solid rehabilitation program must be operational on evidence-based modalities. The best chance you will have of identifying rehab center offering these modalities is to make sure the facility has a clinical director with at least a master’s degree in any relevant field. The easiest way to determine whether someone will stay sober after completing a rehabilitation program is to see if they have a job or not. If the person gets or of rehab and finds a job, then he or she will have a reduced chance of relapsing and returning to their old life. This is because they will no longer associate with the boredom or the people that led to their drug abuse. The responsibilities that come with work play a significant role in one’s ability to maintain a clean and sober life following treatment. This is why vocational support offered by a rehab facility gets top priority among things to consider in a good rehab. Most good rehabilitation programs will maintain contact with their alumni to track their progress and success with time. Success in terms of rehab is defined as any alumni who are still maintaining a clean and sober lifestyle. Ideally, any rehab facility with a success rate of above 65% is ideal. It is important for any rehab program to assimilate family into the treatment process. In order for patients to maintain long-term sobriety, they have to keep strong bonds with others, most importantly with family. Exercise and nutrition are very important in the treatment of addiction. Exercise is a neurogenic activity meaning it helps the brain repair itself and grow new cells in the process. A good rehab facility should offer exercise as a neurogenic activity. Nutrition is also very important for successful recovery from addiction. When the body is in ketosis, one’s cravings for drugs or alcohol are almost absent. Ensure the program is highly focused on nutrition if you want to focus on healing your brain and your body. Addiction recovery is a lifelong process that can be initiated in a short period at a good treatment facility. Medicine, psychotherapy, and psychiatry may be effective for the detoxification part of the process but eastern medicine offers valuable options for the development of new habits such as yoga and meditation.